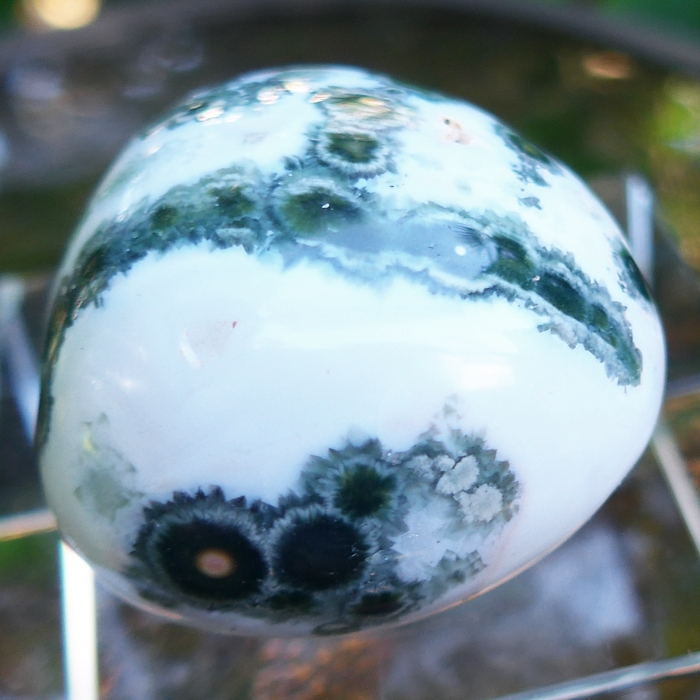 Dimensions (HxWxD): 1.625" x 1.5" x 1.25"
This delightful Small White and Green Ocean Jasper from Madagascar, weighing 71 grams, or 2.5 ounces, displays a lovely white background with green speckles, creating a soothing, painterly surface. 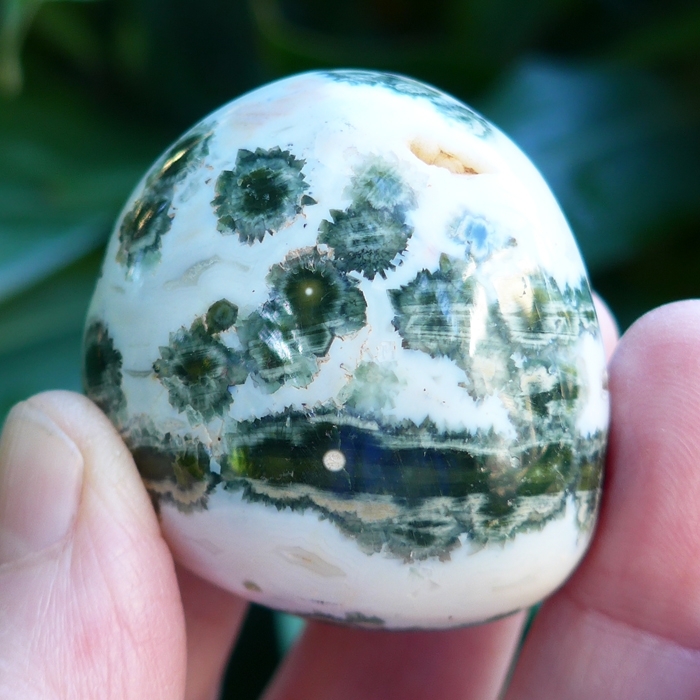 The shape and size of this ocean jasper make it ideal for holding in the hand during meditation or energy work. Note: Above is shipping weight. 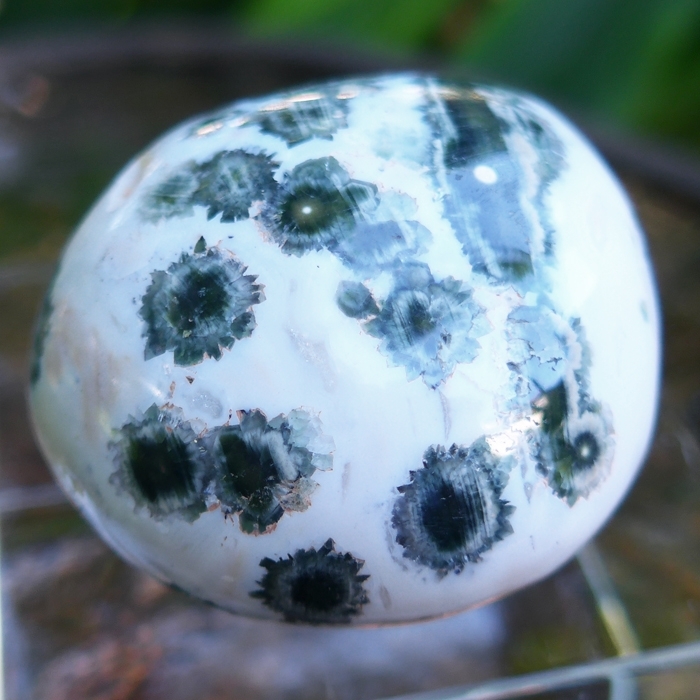 Net weight is 71 grams or 2.5 ounces.